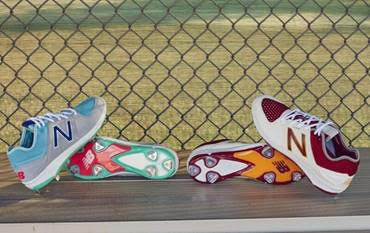 New Balance will commemorate the kickoff to the MLB season with the launch of the Coumarin Pack. Named for the organic fragrance of fresh-cut grass, this limited-edition release will follow the example of its namesake as a strong sensory reminder of the beginning of the season with on- and off-field styles inspired by the spring training centers in Florida and Arizona. 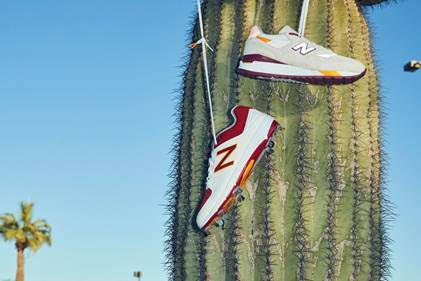 Half of the pack, inspired by Cactus Spring Baseball, will evoke the feeling of the dry Arizona heat with styles featuring desert oranges, deep reds, and blistering white. Designed in the southwestern style, the pack will include the New Balance miUSA 998, a retro look with a modern attitude. Available for $179.95 on newbalance.com, this shoe was designed with ABZORB cushioning in the midfoot to provide shock absorption for unmatched comfort, and a suede/mesh upper that gives the shoe a classic look. In contrast, the other half the Coumarin pack, inspired by Grapefruit Spring Baseball, features resort-inspired blues, greens and greys with bright pink accents as a reminder of Florida’s tropical setting and cool ocean breeze. 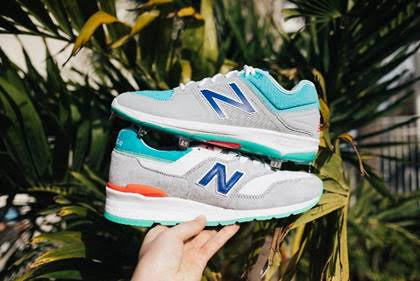 To take you from the field to the beach, this pack will include the New Balance miUSA 997; a sleek style designed with reflective accents as well as touches of suede and mesh, the shoe also features ENCAP® midsole technology to provide support and maximum durability. The miUSA 997 will be available for $209.05 on newbalance.com. Both themes will also include the New Balance 3000v3, a low-cut cleat known for its comfort with a soft, Comfort Collar around the ankle and a proven REVlite midsole for underfoot plushness. 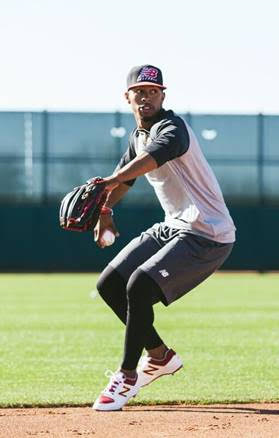 Designed with the elite baseball player in mind, the New Balance 3000v3 will be available on newbalance.com for $105.00.